Posted On July 16, 2015 by Team iCynosure. Shopper’s Stop needs no introduction; it is right up on the list of stores to visit whenever you hit a mall. So every time they announce the End of Season Sale, everything goes berserk. EOSS is the best time to get the most out of your budget and still pick the those pieces you have been eyeing since the collection launch. However retail shopping as usual takes a huge toll on me with baby in tow and unending queues and so I prefer to shop online from the comfort of my home. 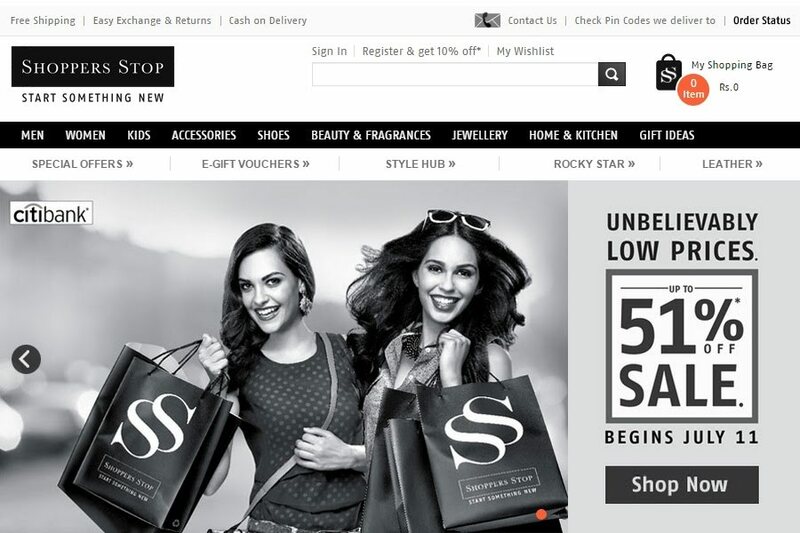 Shoppers Stop EOSS is no more about retail reach, with the advent of e-commerce, every shopper has an equal chance to pick to their heart’s content. And with offers as amazing as up to 50% off, shoppersstop.com is a must-visit for all your fashion fixes. I had been eyeing some super cute and semi-casual kurtas during my regular online browsing sessions and added quite a few to my wish list on shoppersstop.com. And when the EOSS started I noticed some of them with discounts as high as 60%, and they made it straight to the cart. I did check the in-house brand STOP and was amazed with the collection and pricing. With over 300 designs, prices as low as INR 250, there was a kurta for every one there. Picking as many as three pieces each from W for Woman and Stop, for less than 3k I was delighted. My husband is brand conscious and the EOSS is the best time to indulge in some online shopping for his favourite brands and pick those timeless pieces that takes one forward year on year. One of the things that I wanted to get him was a nice travel bag and the other was an addition to his already gorgeous collection of watches. 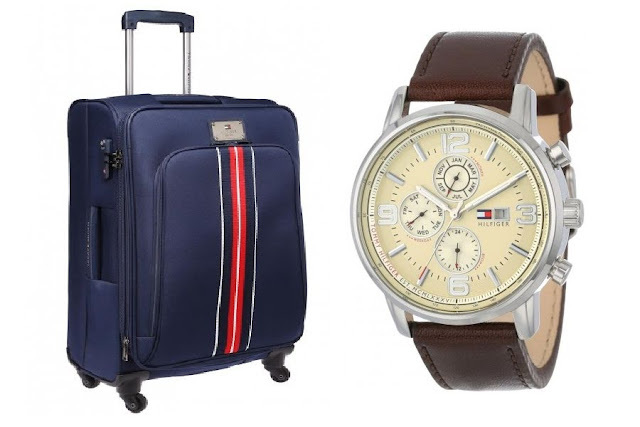 It was an easy pick as one his favourite brands Tommy Hilfiger offered some great discounts in the ongoing sale. Saving almost four thousand bucks, I couldn’t help feeling super happy. My final stop was at the kids section; after all you can never have enough things for your kids. The Mothercare section was brimming with offers on everything from maternity clothing to kids wear and accessories. It was the perfect time to stock up on clothes and shoes for my little princess. This time around since I was picking a lot of stuff for her I selected a couple of sizes ahead for clothes and shoes keeping in mind her rapid growth spurts. Sometimes it is important to shop smart and EOSS is a perfect opportunity to get the best within the regular. However here are a few ground rules to keep in mind while online shopping during the sales. So what are you waiting for? Make the most of the EOSS at Shoppers Stop and shop till you drop.